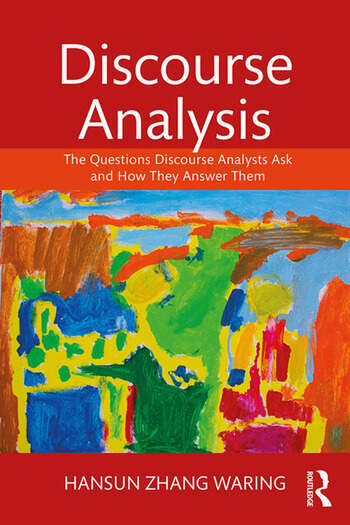 Discourse Analysis: The Questions Discourse Analysts Ask and How They Answer Them is the first introductory text organized around the kinds of questions discourse analysts ask and how they are systematically addressed by analysts of different empirical persuasions, thereby cultivating a principled understanding of the interdisciplinary field of discourse analysis. The text promotes synthesis, integration, and a multidimensional understanding of the core issues that preoccupy discourse analysts. (1) How is discourse structured? (2) How are social actions accomplished in discourse? (3) How are identities negotiated in discourse? (4) How are ideologies constructed in discourse? The answer to each question is illustrated with transcripts and analyses of actual discourse as exemplified in key studies in the field. With a range of other features such as boxed definitions, study questions, and analytical tasks, this guide to the complex world of discourse is an ideal resource for courses on discourse analysis. Hansun Zhang Waring is Associate Professor of Linguistics and Education at Teachers College, Columbia University, USA. She is founder of The Language and Social Interaction Working Group (LANSI).